~ Touring Australia Diaries & What we do in Glenelg when we are not touring. 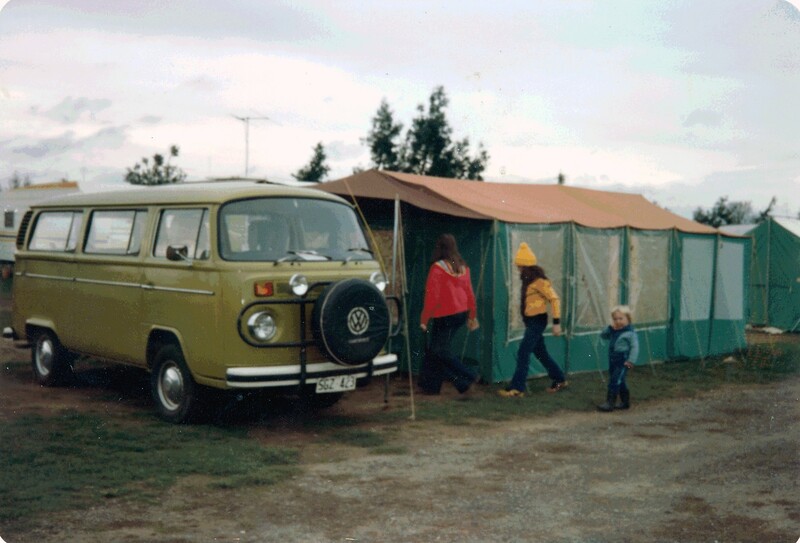 It might seem primitive now, but at the time it was fun – The VW Microbus, the trailer and the tent. 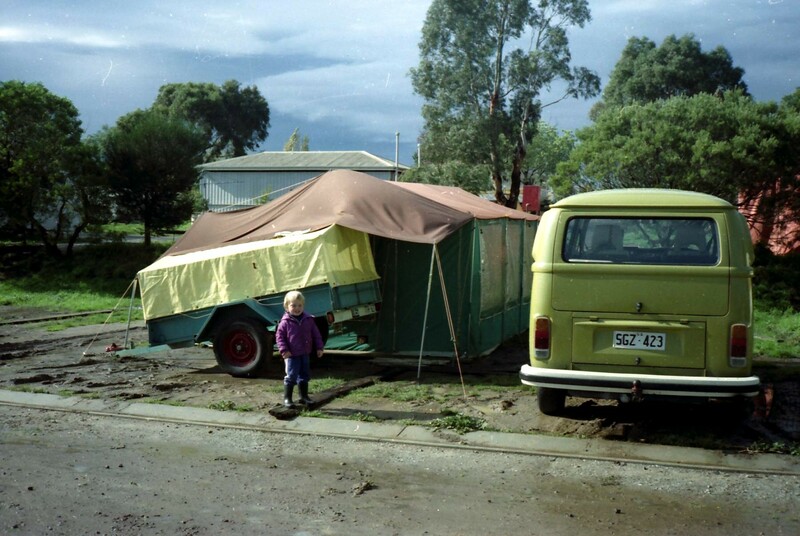 The muddy conditions were typical of many caravan parks of the time during winter. These photos were taken at the Coburg Caravan Park in Melbourne. Most of the holiday was taken at Ballarat, Victoria, where the main interest for the kids was Sovereign Hill – a well establish theme park depicting life as it was in the Victoria gold rush era. 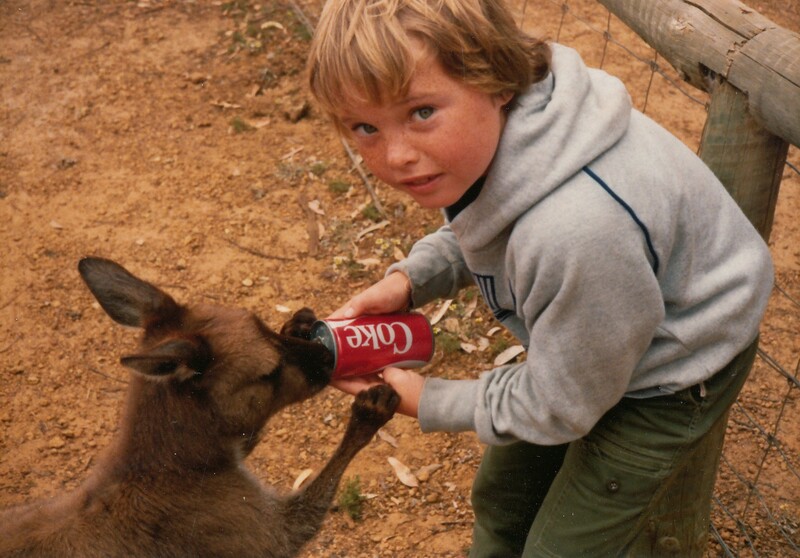 Also, during the 1970’s we took a trip to Kangaroo Island, South Australia. It’s not difficult to spot kangaroos there but the kangaroo in the photo is a tame specimen in a park. In the wild you won’t get near a kangaroo except if you crash into one on the road. Rental car companies mostly forbid the use of hire cars on the island after dusk and before dawn. Even in daylight there is a substantial risk of hitting a kangaroo.